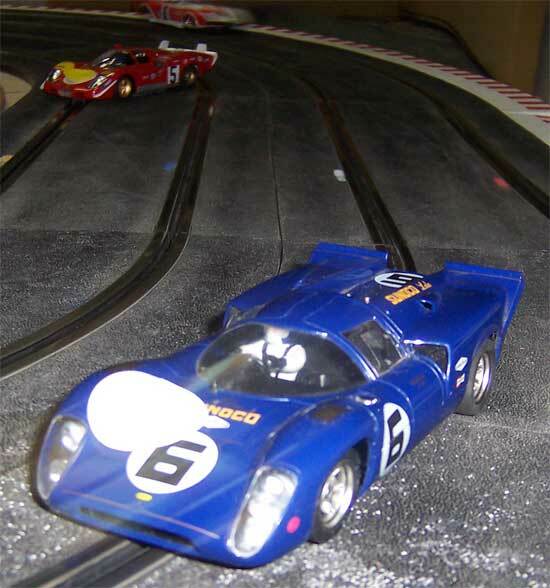 The final race at the Willmot track has now been completed. It was a great nights racing with the following classes. 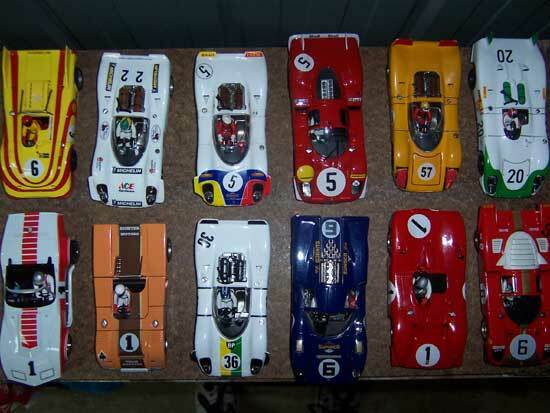 Open Pre 72 sports comprising mainly Fly classic Le Mans cars of various models with Lola, Ferrari, Porsche making up the grid and Bo with a well tuned Scalextric Corvette and Cameron borrowing Jamies Scalextric Vette. Engines varied from Standard Fly to Slotit V12 motors with the Fly engined cars of Joe, Jamie and Graeme taking the top three placings on the night. Most of the competing cars are in this shot. 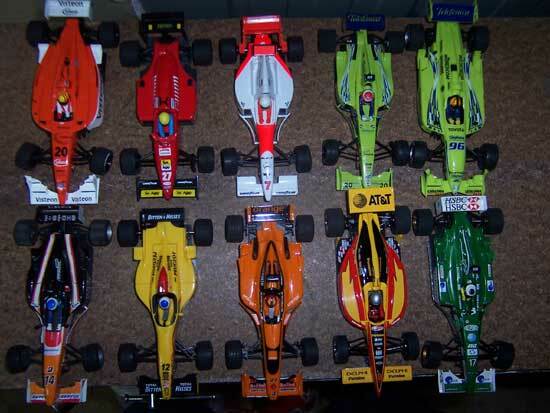 Open Racing was the next class to run and this consisted of SCX F1 and Indy cars Scalextric IRL and F1 cars and Ninco F1 and Indy cars. Pro Turbo SCX F1 cars won out on the night With Joe and Daniel taking one and two and Jamie with the NC5 Ninco Jordan taking third. Bo showed the Ninco Jordans to be good runners picking up a fourth. 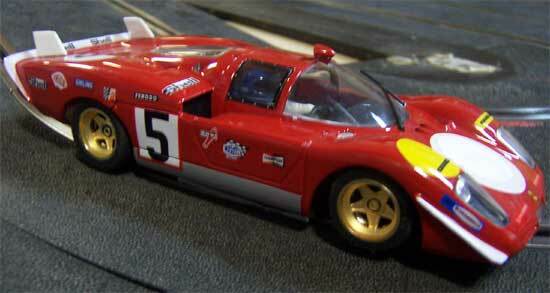 Some beautiful Fly Le mans Classics ran on the night. Al's Lola with a very sideways Ferrari follwing and Bo's blur of a Corvette about to lap them both. Ninco Jordan drifting through the turn. Lane markers not adding to the cars looks but helping the poor overworked marshalls. A couple of pics of the boys and the now dismantled Willmot raceway. Thanks to Al Collins for providing a venue for the WDMCRG to race for so many years. 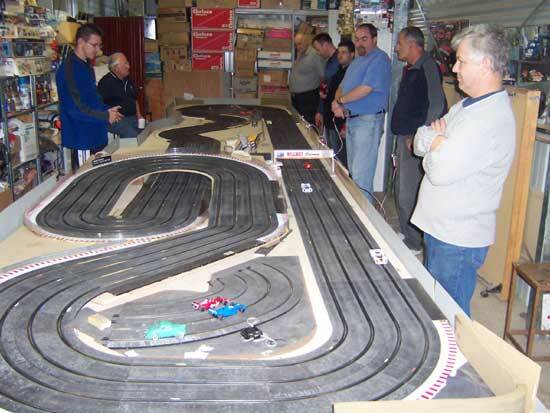 Al is about to knock down the family home and build a new one but the track is back bigger and better than ever.